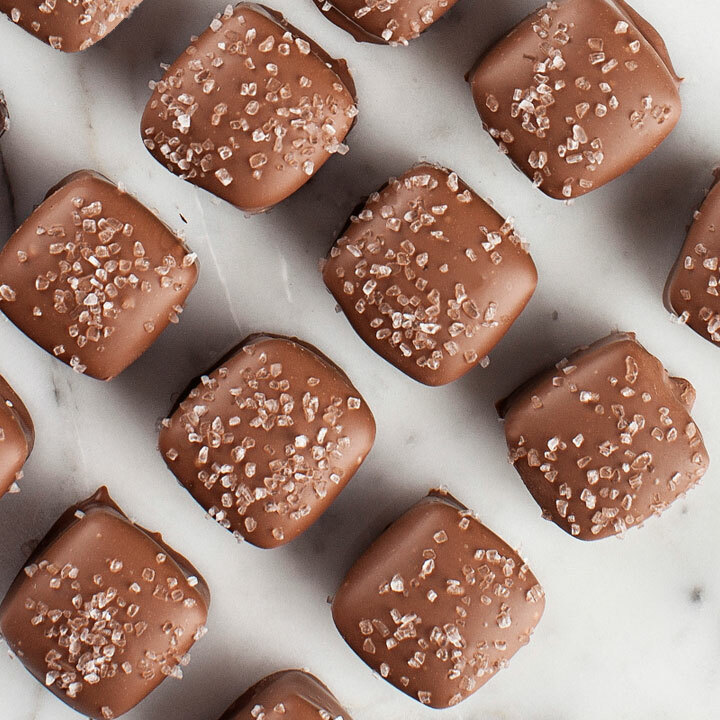 A melt in your mouth winning combination of our homemade creamy caramel, enrobed in decadent milk chocolate and sprinkled with just the right amount of sea salt. 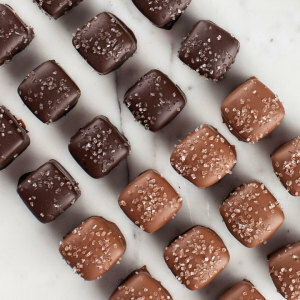 Each of these flavorful gems is handmade by our world class candy makers. 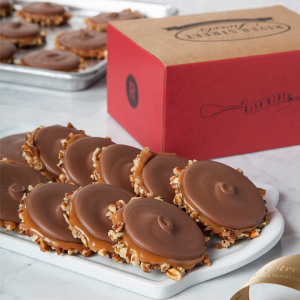 24 Sea Salt Milk Chocolate Caramels in a red gift box. Got here quickly and tasted good. 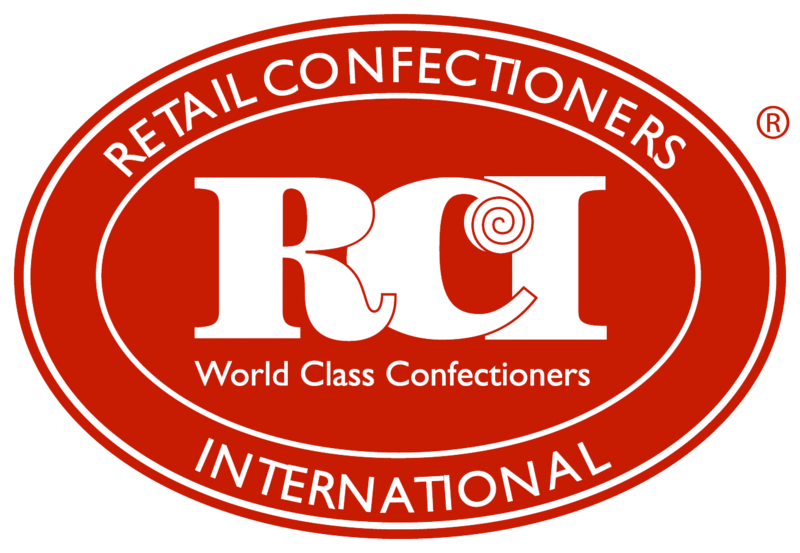 I have only the best to say regarding the quality of your sweets. 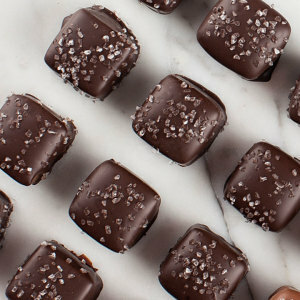 With my last order of Chocolate Sea Salt Caramels, there was a problem with production. There was almost no salt on the candy. 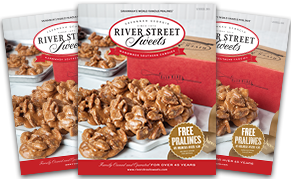 However, River Street Sweets, after one phone call from me, shipped out a replacement order. So, I am happy to say, they stand by their product. 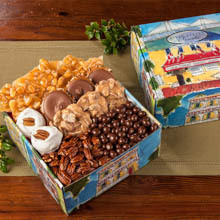 Again, River Street Sweets provided me with ideal Christmas gifts that were shipped around the Carolinas. 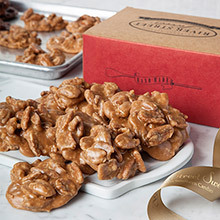 I always get a great response from those I send the Pralines to. 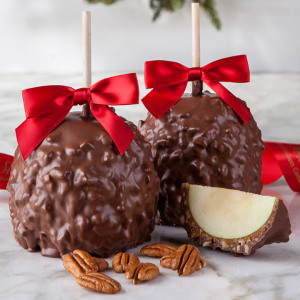 And, while I send gifts to loved ones, I always order me some, too. Gifts ordered were a thank you gift for someone who Loves your candy!!! They were very well received!! 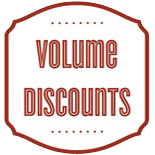 I do want to say that before placing my order I had a few questions and your customer service dept was very helpful. I bought some sea salt caramels for my wonderful Mother-in-law on Mother's Day! She loved them and said she was trying to only eat a couple, but by the time we talked to her (the next day) she said she had already eaten half of them. We will order from here again!! My only complaint was that they were delivered earlier then I had asked and paid for.